Saturday, February 3 at 9:00 - 11:00 a.m.
Saturday, February 10, 9--12:30 a.m.
Wednesday, February 21, 11:00 a.m. -- 1:00 p.m. HOT TOPIC: WHO MAKES THE DECISIONS FOR US? 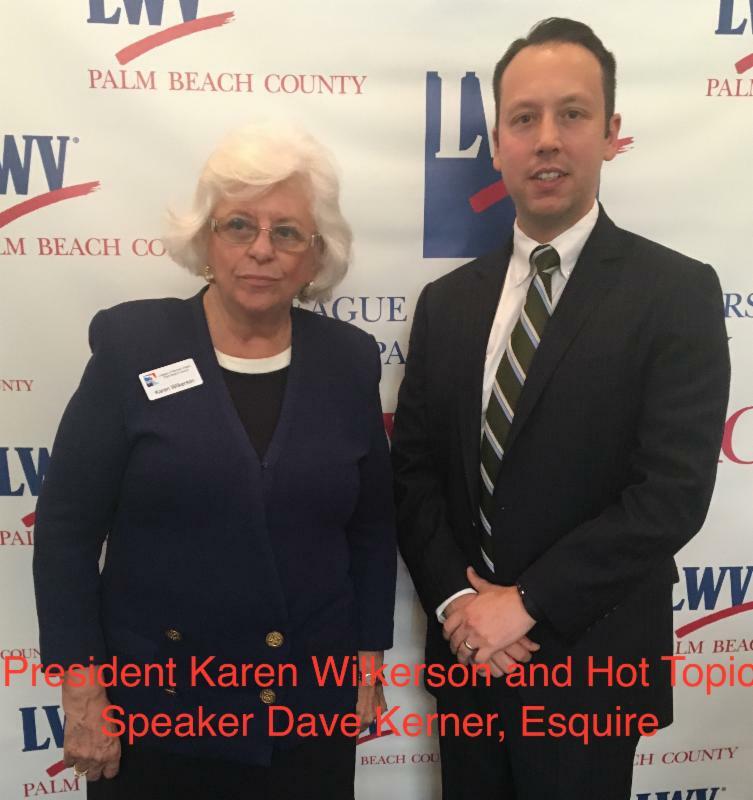 Since 1968, Palm Beach County has been designated a charter county – with emphasis on local self-government and freedom from state control – as long as there is no conflict with state law. 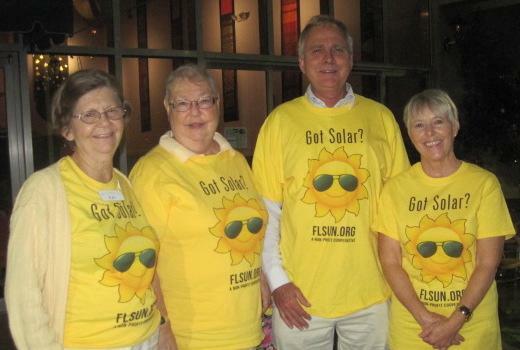 The final Information Meeting for the Solar Co-op in Palm Beach County was held on January 20th at the County Library in Palm Beach Gardens. Pictured to the right (from r. to l.) are key movers behind the Solar Co-op movement Kay Gates, Diane Marks, Mike Fitzpatrick, and Debbie Evans. As of January 15 2018, there are over 100 households in the Solar Co-op. This Solar Co-op closes on February 2, 2018. If there is continued interest, another co-op could be started in the Fall. Compass, 201 North Dixie, Lake Worth. 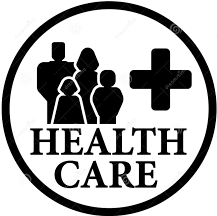 The Affordable Care Act program needed help for the 2017 open enrollment period this past November. 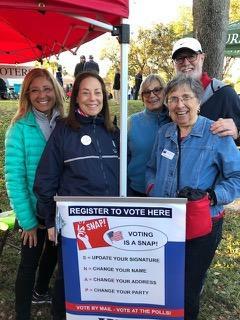 So LWVPBC stepped up! The Healthcare Issue Group called a special meeting. We obtained fliers, made hundreds of copies, and hit the road, distributing information. All our efforts paid off. Thanks to our support and that of other grassroots organizations, Florida led the country in enrollments with 1.7 million. 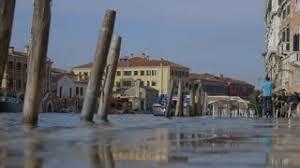 The seas around Florida have been rising for eons. How quickly they rise over the next 100 years will pose a host of challenges for the state and reshape Florida in the years to come. 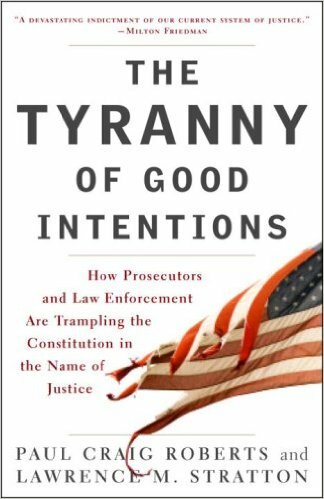 The authors demonstrate how laws designed to prevent bad behavior or ”crack down on crime” fail to protect the individual. Crusading legislators and unscrupulous enforcers of the law and prosecutors turn the law into a weapon. In last issue's Call for Help, the email address to contact Darlene Kostrub was incorrect. We are repeating Darlene's call for help here. Please note the corrected email address below and help our League's membership chair. Can you make calls from home? We are looking for members who can make about 10 phone calls a month to other members. Membership Chair Darlene Kostrub will provide names to call and pertinent information. This is a great job for people with limited time to volunteer for other League activities. It is an important way in which we stay connected to members and get their feedback.